Long USB Cable A TO 5 Pin Mini B. High speed USB 2.0, backwards compatable with usb1 and usb 1.1. USB 2.0 A to mini B 5 pin. 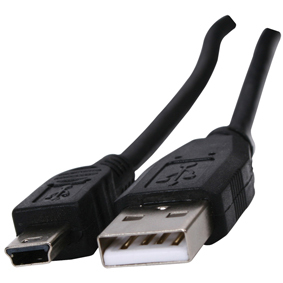 USB A to 5 pin mini B cable. Used with digital cameras, mobile phones and mp3's etc.